Every year, more than 54 million adults in the United States learn they have some form of arthritis. Since arthritis is a chronic disease that progressively worsens, getting early treatment is vital for slowing it down and maintaining a healthy and active life. 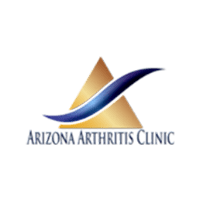 At Arizona Arthritis Clinic, PLLC, Amer Al-Khoudari, MD, FACR, is a dedicated expert in the diagnosis and treatment of all types of arthritis. At the first sign of swollen, stiff joints, call the office in Chandler, Arizona, or book an appointment online. Arthritis is a general term referring to more than 100 diseases. Each one has unique symptoms, but they’re classified as arthritis because they have one thing in common: joint inflammation leading to pain and stiffness. Osteoarthritis is the most common form of arthritis. It develops over years, as daily wear-and-tear gradually breaks down cartilage found on the ends of bones inside the joint. As increasing amounts of cartilage wear away, the bones begin to rub against one another. Over time, the joint becomes inflamed and bone spurs develop. Although osteoarthritis can affect any joint, it most often occurs in your knees, hands, and hips. It also stays within the joint, so you won’t develop body-wide symptoms. Rheumatoid arthritis is an autoimmune disease that occurs when your immune system mistakenly attacks tissues that line your joints. As a result, the tissues become inflamed and swollen. Chronic joint inflammation gradually erodes the bones in the joint, leading to a deformity. Rheumatoid arthritis begins in smaller joints, like those in your fingers, and affects the same joint on both sides of your body. The disease then progresses, spreading to other joints. In some patients, it spreads beyond the joints to other parts of the body, including the eyes, nerves, and organs. Psoriatic arthritis is a chronic inflammatory condition that develops in patients with psoriasis, a skin condition that causes skin cells to build up and form thick, scaly, dry patches. This type of arthritis may start on one side of the body, often in your fingers or toes, then the inflammation progresses to affect other joints and soft tissues, such as ligaments. What symptoms develop in different types of arthritis? If the inflammation spreads, you’ll develop symptoms associated with the affected body area. Your treatment is determined by the type of arthritis. For example, there aren’t any medications that target osteoarthritis, but it’s essential to take medications for rheumatoid and psoriatic arthritis because they slow down the disease progression. Despite your pain and stiffness, it’s also important to keep moving the joint. Gentle activity maintains the joint’s range of motions and diminishes inflammation. However, activity must be balanced with rest to ensure you don’t further damage the joint. The team at Arizona Arthritis Clinic works with you to develop a customized treatment plan. To get help for your arthritis, call the office or book an appointment online.